Researchers have found we have an inbuilt ability to tell how intelligent a man is just by looking at them. The team from the Czech Republic found people we unable to perform the same deduction on women. The team admit they are baffled as to how we do it - and say it does not appear to be based on symmetry of the alignment of features. The Czech team said faces that are perceived as highly intelligent are longer, with a wide distance between the eyes. The perception of lower intelligence is associated with broader, more rounded faces. The team used static facial photographs of 40 men and 40 women to test the relationship between measured IQ, perceived intelligence, and facial shape. Both men and women were able to accurately evaluate the intelligence of men by viewing facial photographs, they discovered. 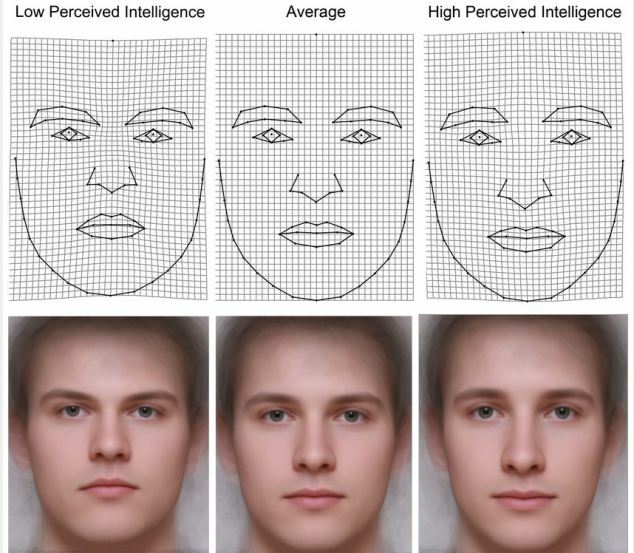 'These results suggest that a perceiver can accurately gauge the real intelligence of men, but not women, by viewing their faces in photographs; however, this estimation is possibly not based on facial shape,' they claim. 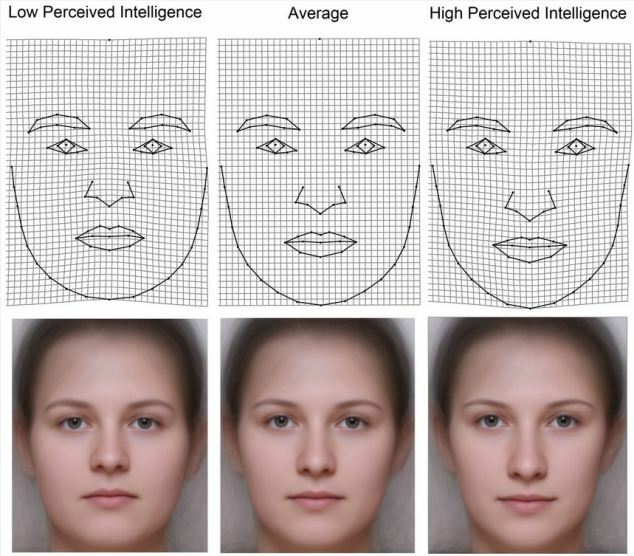 'Our study revealed no relation between intelligence and either attractiveness or face shape. They say this could be due to the fact attractiveness clouds the judgement. 'Another option is that women are pervasively judged according to their attractiveness,' they add. The study, in the journal PLoS One, reports people tend to associate certain facial traits with high intelligence. The researchers report these notions 'represent nothing but a cultural stereotype,' but some still-unidentified visual cues apparently point them in the right direction. 'Faces that are perceived as highly intelligent are rather prolonged with a broader distance between the eyes, a larger nose, a slight upturn to the corners of the mouth, and a sharper, pointing, less rounded chin. 'By contrast, the perception of lower intelligence is associated with broader, more rounded faces with eyes closer to each other, a shorter nose, declining corners of the mouth, and a rounded and massive chin. 'By contrast, we found no correlation between morphological traits and real intelligence measured with IQ test, either in men or women. Specifically, they write, 'two factors of general intelligence were significantly associated with perceived intelligence from men’s faces: fluid intelligence and figural intelligence. 'Fluid intelligence is the capacity to logically solve problems independent of acquired knowledge.